When you’re looking for a professional translation services vendor who can accurately convey your brand’s message to your target audience, we can help. Q. How much will my translation project cost? A. Your translated document is as important as your source document and deserves the same attention to detail. Projects are priced on a cost-per-word basis, depending on language. To receive an accurate quote, we ask that you submit the source document. This allows us to generate a custom quote for your project that takes all of its requirements into account. Q. How fast can I get my project completed? A. Our goal is to get your project completed as quickly as possible, while maintaining high quality and accuracy. Once we clearly understand your goals, timeline, and prior experience (if any) with professional translation services, we’ll ask you to submit your source file. This allows us to understand the full scope of your project and begin quickly once the quote is approved. Q. Can you translate in my language? A. Yes. We offer expert professional translation services in over 180 languages, using native-speaking translators with industry-specific subject matter expertise. 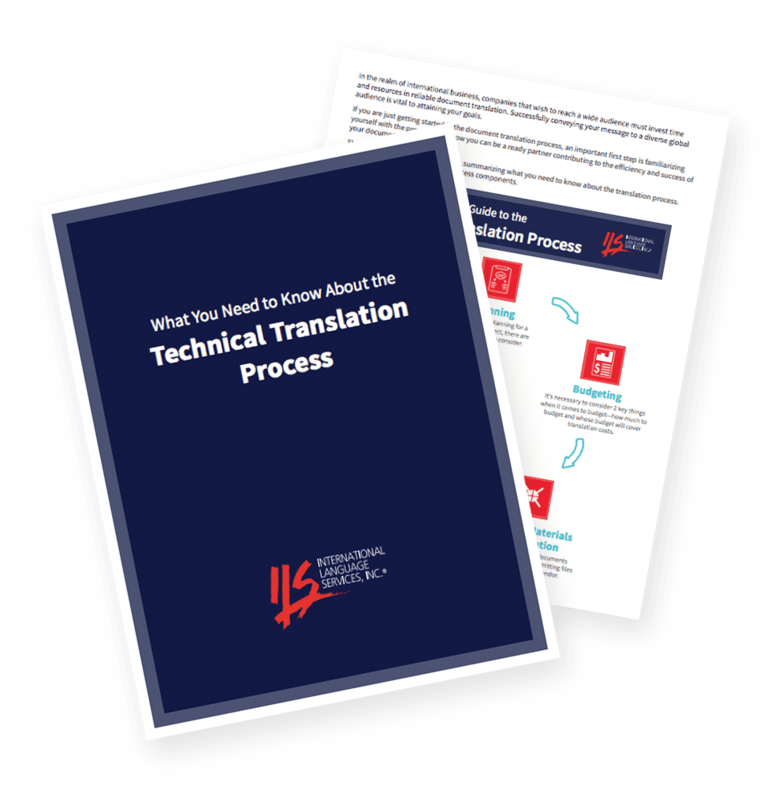 From a white paper or proposal to a full-fledged website, technical manual, or product catalog, we’ll deliver your completed translation in whatever language and format you specify, ready for immediate use. Q. Who are your translators? A. Our translators are native-speaking professionals who are vetted in accordance with our ISO 9001:2015 quality process. Each translator is assigned to projects based on his or her subject matter expertise. Translators need to be able to fully comprehend your source file in order to translate it properly. Q. Do your project managers have extensive translating experience? A. Our project managers all have a minimum of 10 years with ILS, in addition to prior industry experience. If you decide to work with us, you’ll have the benefit of a single, accessible point of contact for all of your projects. Because of their expertise, our project managers can easily make recommendations regarding best practices for your project. Q. How can I be sure ILS translators will understand my unique subject matter? A. Our translators are experts in both translation and the subject matter at hand. We select subject matter experts because their combined experience, technical knowledge, and translation expertise ensures your document is translated accurately and conveys the original message as intended. Q. Have you completed translations for businesses in a my specific industry? A. With over 35 years of experience, chances are good we’ve worked with your specific industry and type of file. ILS specializes in professional translation services for the medical device and general manufacturing industries, as well as specific business sectors. To learn more about the industries for which we provide services, click here. Q. Will my target market clearly understand my intended message? A. ILS is always sensitive to local and cultural issues when providing your translations. We’ll alert you to any cultural issues in your material that need to be addressed and help you localize the translation for your specific target audience. We can customize translations to suit local language usage or create more neutral, internationalized versions that can be easily adapted to the needs of specific target countries. Q. Why should I use ILS over someone else, say a native-speaking employee in my own company? A. Using an internal native speaker can be impractical, especially when working across multiple languages. While this type of do-it-yourself approach may cut costs, it also leads to frustration as projects fail to meet critical deadlines or end up inaccurately translated. Lack of the proper automation tools and quality checks may ultimately make this a more expensive long-term solution. Adding the extra role of providing translation services to your employee can be overwhelming and cause less-than-desirable results. Both the translation work and your employee’s primary role may suffer—especially when working on a tight deadline.  All of our translators are native speakers and are qualified in accordance with our ISO 9001:2015 quality processes. Because our translators are also subject matter experts, they often have equal or more industry experience than the person writing the source documentation. Each of our translators have multiple years of experience working with ILS and are trusted to deliver accurate work in an efficient manner. Q. How do you collaborate with ad agencies and in-house graphic designers? A. Once you submit the final source file for your content, we’ll provide professional translation services without materially affecting your design and/or format. We follow the original design layout as closely as possible to maintain brand consistency. We also format languages that utilize complex character sets and apply the highest attention to detail to ensure your document is translated accurately. We will return your translated files ready for immediate use. Q. We had a bad experience with our last translation vendor. Can you help us fix the problem they created? A. Absolutely. We’ll look at your project and address any necessary changes so that it is accurately translated and your message can be delivered as originally intended. Q. What makes ILS different from other translation vendors? A. At ILS, we provide the pivotal language link between businesses and their customers, employees, suppliers, and investors of different cultures, a link which ultimately provides improved communications worldwide. You can count on accurate, efficient, on-time translation services as well as translation memory tools to streamline future projects and effectively manage costs. Our attention to detail and highly accessible, personalized service has proven invaluable to our long-term clients. We follow a Client Service Guarantee and are committed to providing impeccable, high-quality translations to facilitate your communications to new markets and support your international growth.